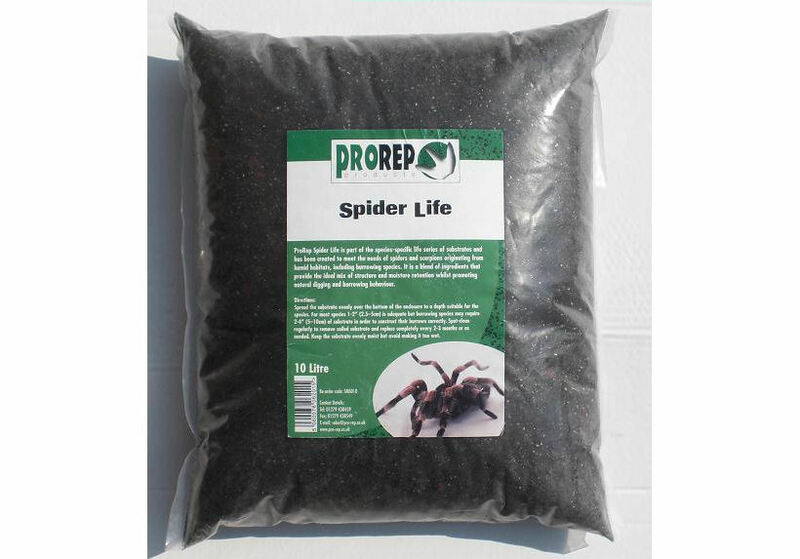 ProRep Spider Life Substrate 5L | Livefood UK Ltd. Spread the substrate evenly over the bottom of the enclosure to a depth suitable for the species. For most species 1-2in. (2.5-5cm) is adequate but burrowing species may require 2-4in. (5-10cm) of substrate in order to construct their burrows correctly. Spot-clean regularly to remove soiled substrate and replace completely every 2-3 months or as needed. Keep the substrate evenly moist but avoid making it too wet.